360 has revolutionised workplace wellness. For far too long, organisations have struggled to make the business case for wellbeing programmes due to poor engagement, lack of metrics and no clear return on investment. We have changed that for good. Tried and tested at a FTSE-100 level, we are empowering people to live better and organisations to perform better. Our programmes enable employees to be truly proactive in looking after their health, energy and resiliency. Rather than wait for sickness or burnout, our ecosystem gives people the tools they need ahead of time to look after their wellbeing and performance. When it comes to our health, a "one-sized-fits-all approach" just isn't effective. Each of us is different, and our approach needs to reflect that. Our programmes give talent the individual data and insight they need to take a genuinely personalised approach. This creates clarity, confidence and control: key factors driving successful behaviour change. Organisations want to be preventative in their approach to wellbeing and healthcare, but very few know how. We have changed that for good. Our ecosystem provide talent, leaders and HR with the information they need to reduce healthcare costs, measure health presenteeism and improve employee wellness. Do you struggle to build the business case for wellness in your organisation because of lack of metrics? Do you struggle with engagement and retention on the programmes you offer? Do you want an evidence-base, metric-driven wellness approach that has been proven to deliver double ROI at a FTSE-100 level? If so, we can help. Leave behind nebulas wellbeing initiatives and work with us to deliver the science and strategies of sustainable high performance. Many companies want to invest in the proactive wellbeing of employees, but they struggle to make the business case for any meaningful investment because they do not have the baseline data which guides intervention, risk and expected return on investment. With 360 HeatMap™ you can change this forever. Use our technology and 21-day support to learn how your employees are feeling and doing in their health. Make informed decisions in corporate wellness. Reduce risk where it is needed. Engage people in ways that work. Support high performance and adjust culture using meaningful metrics. Our Sustainable High Performance™ (SHP) Programme can be rapidly deployed to groups or business units that need it to help employees thrive. Whether it’s senior leadership, over-utilised teams or talent going through in-house programmes, our SHP programme delivers shows employees how to measure, improve and protect their energy and performance. We do this through our neuroscience technology, structured education and employee support. And it works – with retention, engagement and return on investment far above industry standards. 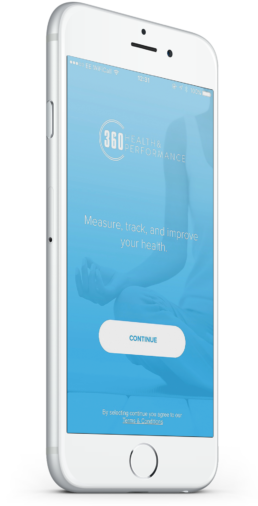 With 360 Agile™ you can scale wellness and get the right technology and information into the hands of employees that need it anywhere in the world in days. No more long, protracted and disconnected wellbeing initiatives. Human capital is an organisation’s greatest asset; but until now you have not been able to and measure or support it in a person-centred and business-focused way. We have changed that forever.